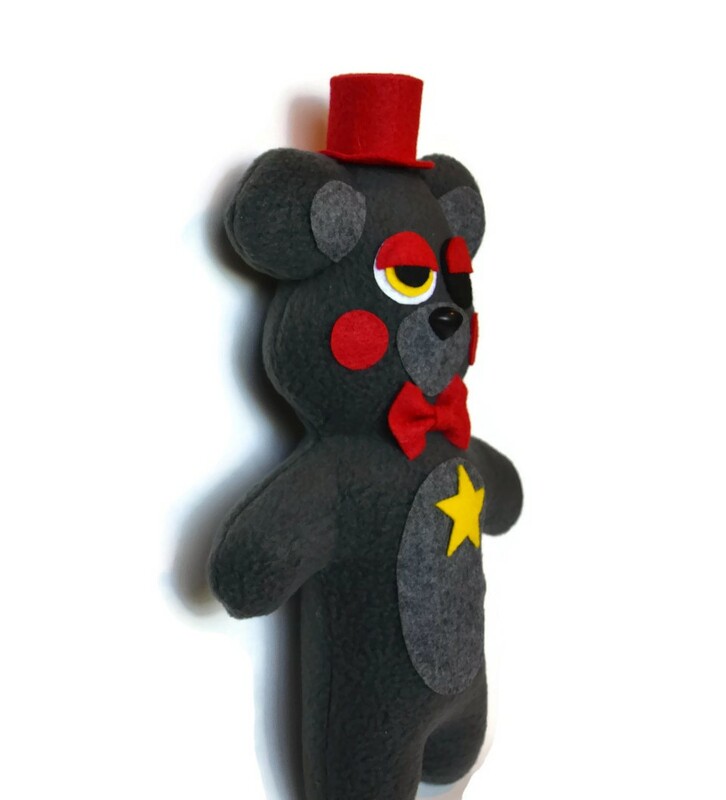 Lefty's general appearance looks very similar to that of the character Toy Freddy and almost identical in appearance to Rockstar Freddy, the only difference being the color scheme. 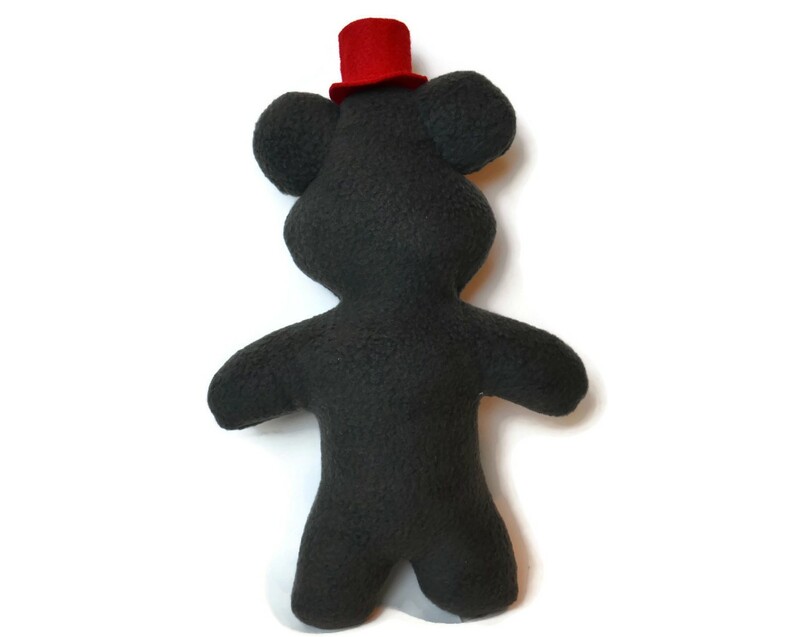 He is a black bear sporting a red tophat, bowtie, eyelids, cheeks, and knee caps and holds a yellow microphone in his left hand (rather than his right like Freddy). He has a lighter shade of grey from his chest, muzzle, ear insides, and even toes. 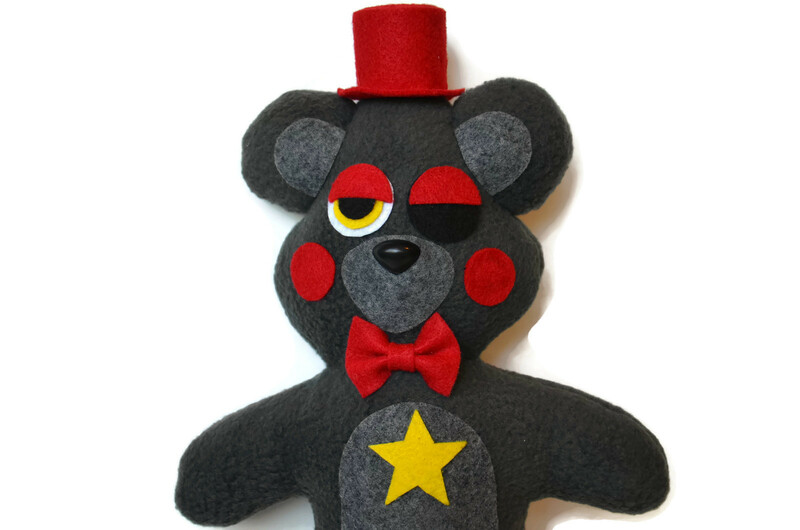 His right eye is yellow while the left is completely black. 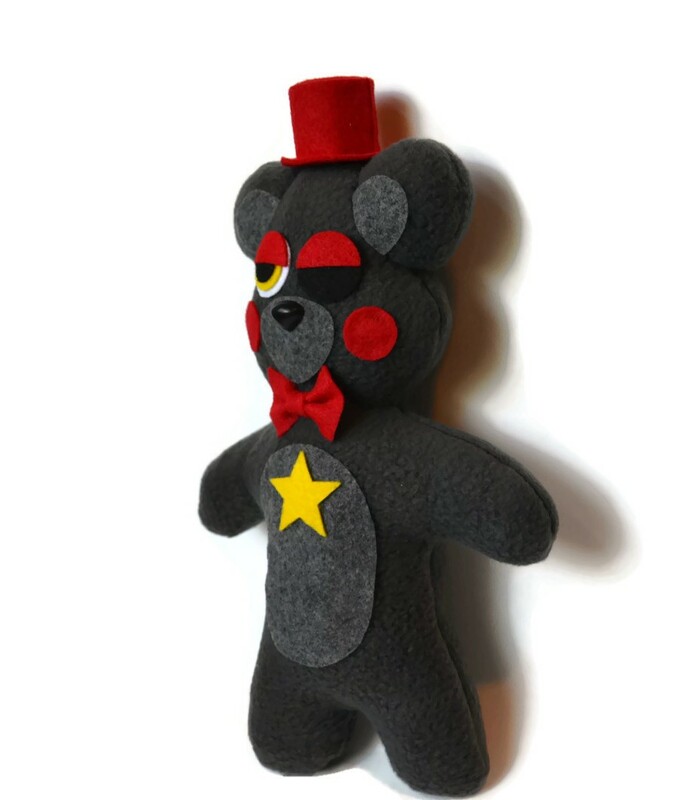 He also sports a golden yellow star on his chest, signifying him as a part of the rockstar animatronic set. 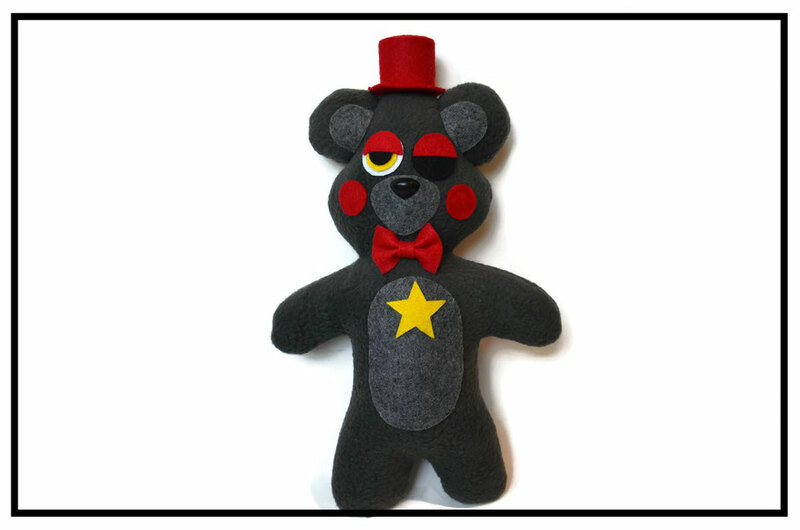 In addition to his left eye being black, his left eyelid is droopy, and half-folded over the eye. 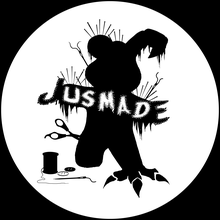 This can be seen during his jumpscares. Made to Order. 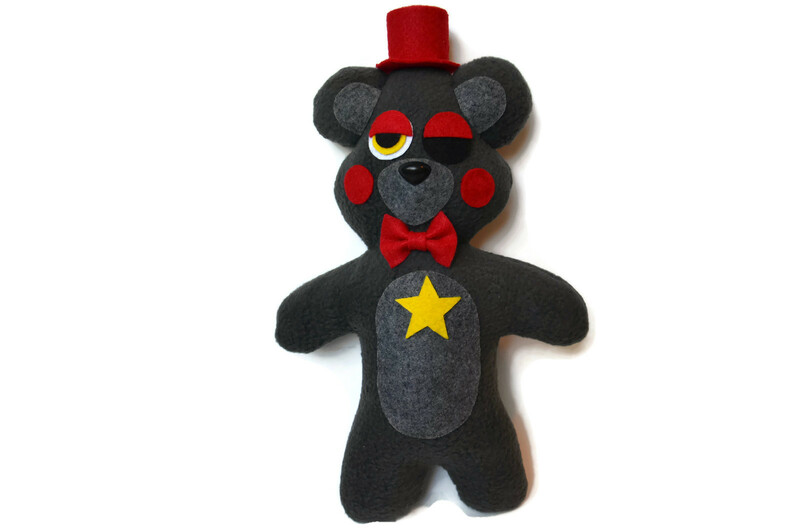 This Lefty Plush can take around 1-3 days to make and ship. Materials used are Anti-pilled Fleece, felt, cardboard, and stuffed with non cluster polyester fill. The hat will be glued to head for stability.